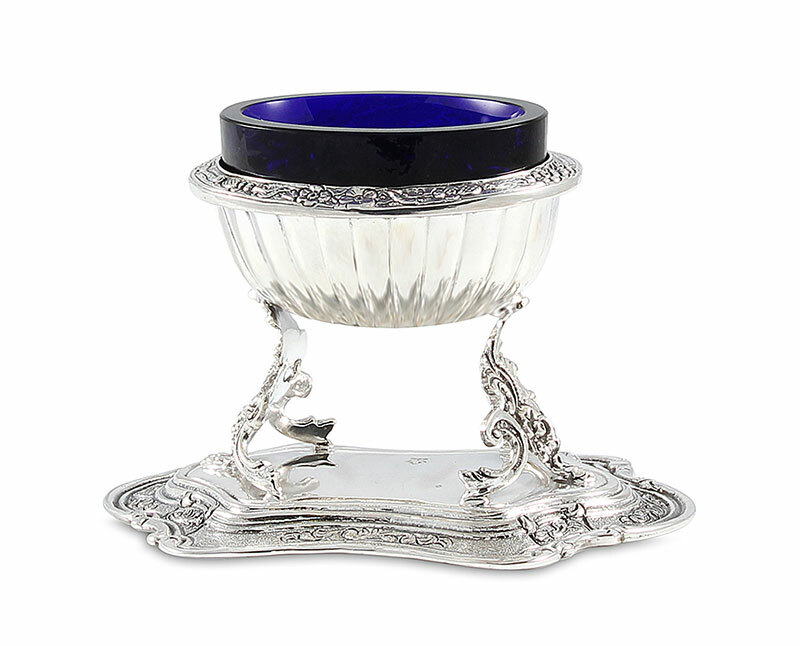 925 Sterling salt dish with a cobalt blue glass insert, an exceptional display piece. Sterling silver home essentials will make a perfect gift for Hostess, Wedding shower and honoree gift. Sterling silver has been cherished and preserved for centuries and handed down from generation to generation.